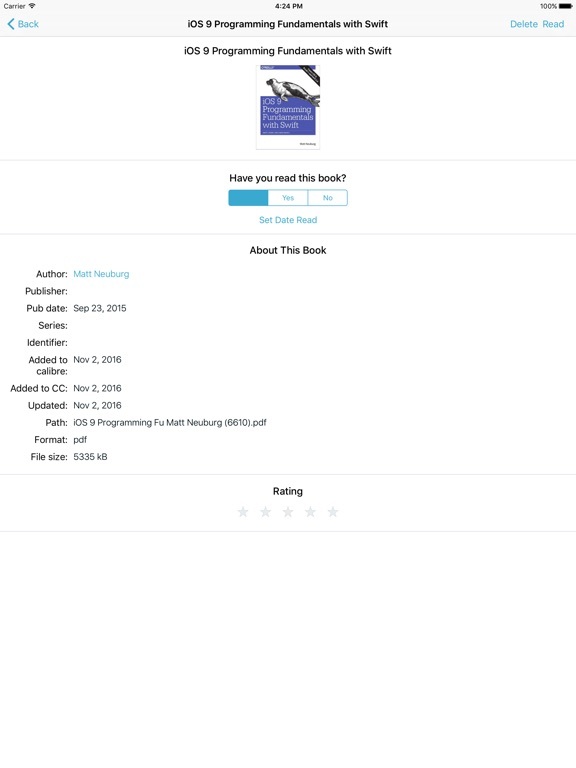 - view a book's metadata (author, tags, series, rating, dates, etc.). 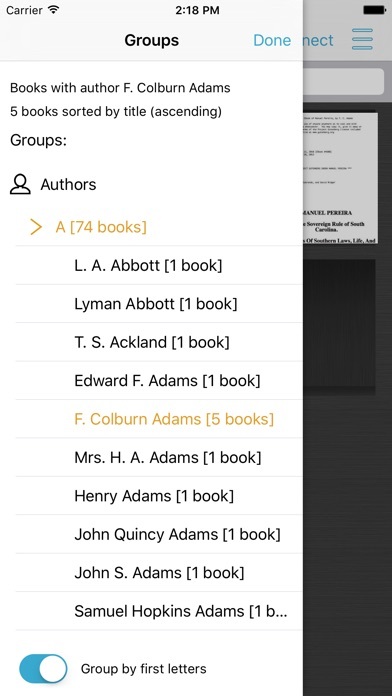 - sort and group books by their metadata. 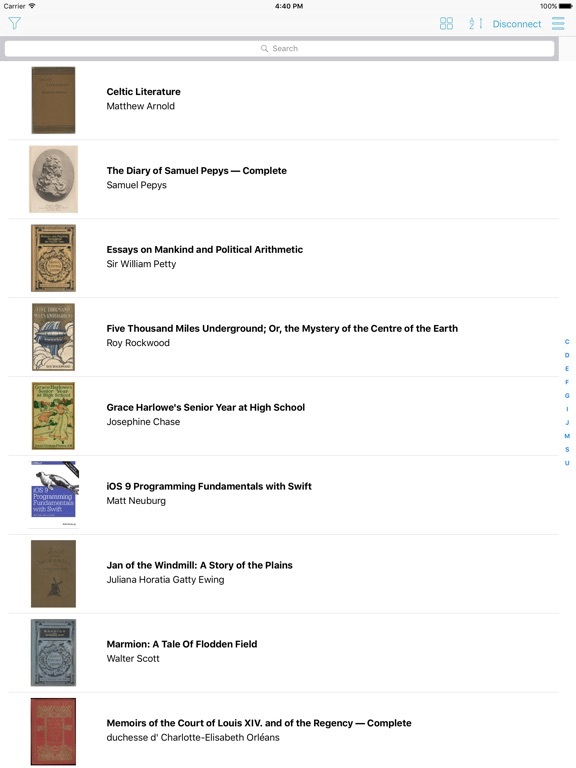 - see book lists by cover or by list. - mark books read and sync this information with calibre. 2) CC can connect to calibre over WiFi and be detected by calibre as a device. 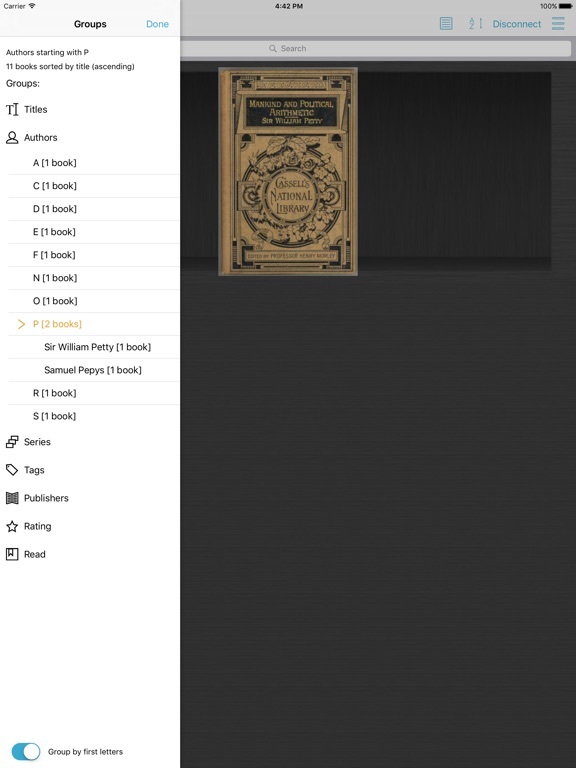 Once connected, you use calibre to move books to and from your device. 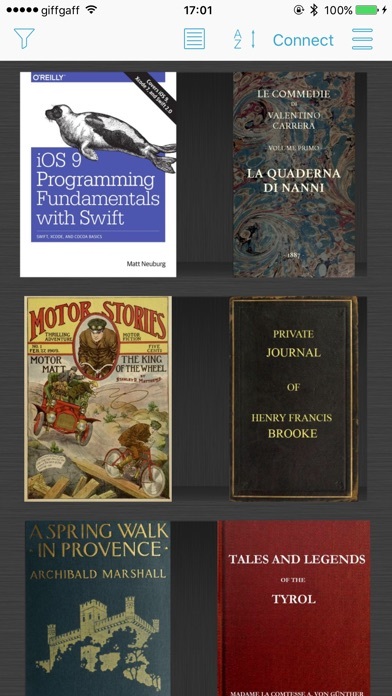 Calibre automatically updates all the book metadata stored by CC to match the latest in your library. 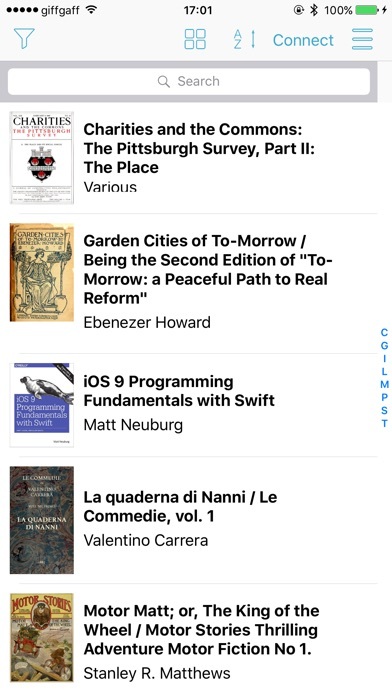 3) CC can connect to calibre’s content server or to your cloud provider to browse your library and download books to your device. Supports Dropbox and Microsoft OneDrive. 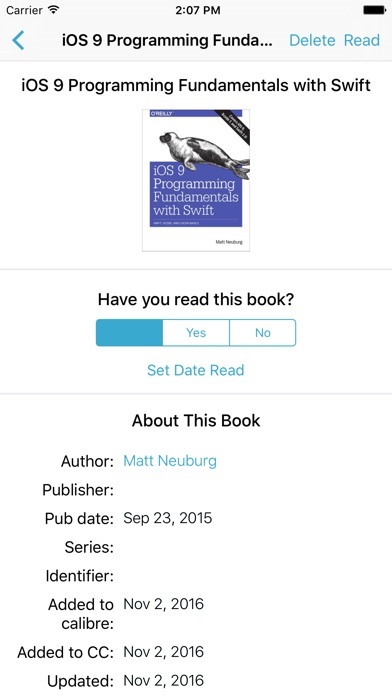 Notes: CC is not a reader app. 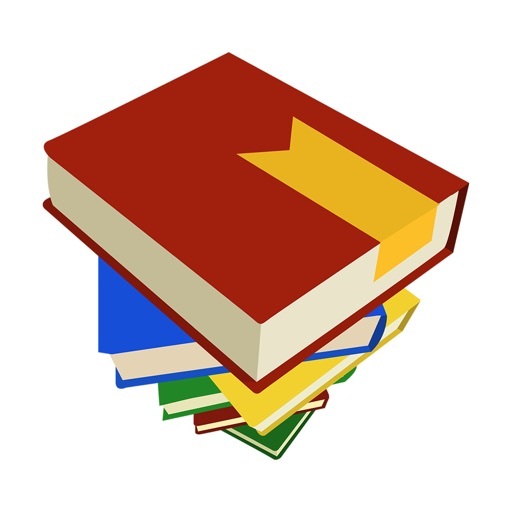 You must install and use one of the many excellent reader apps available. 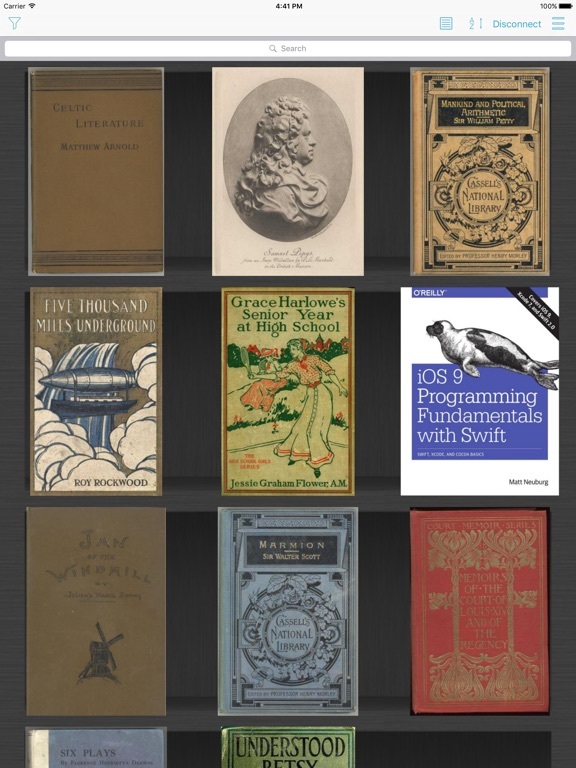 You must also already use calibre to manage your library of ebooks.